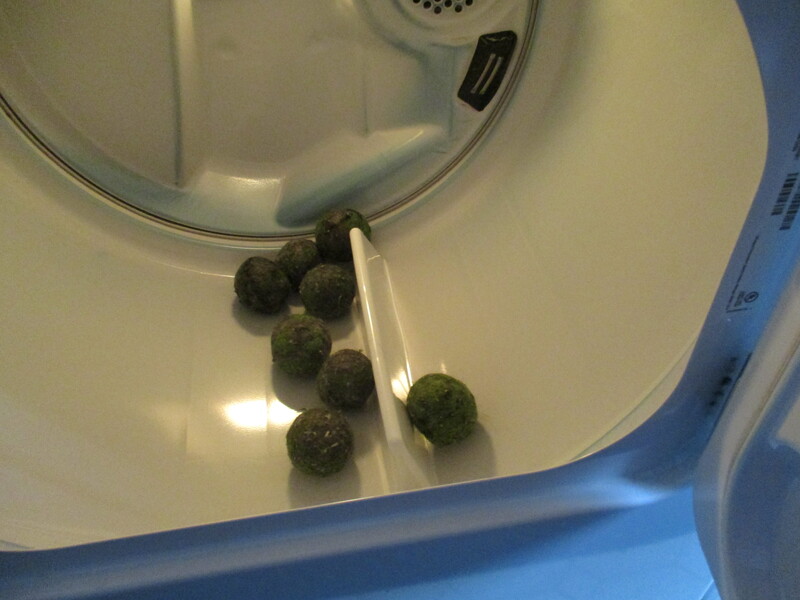 For about a year now we have been using wool dryer balls as an alternative to dryer sheets. I knew I had to find an alternative fabric softener because I began having allergic reactions to the fragrances in the store bought dryer sheets. When my husband saw me buying the unscented dryer sheets he commented on how bad the chemicals in those things were, so while I did not experience any apparent side effects from the unscented variety, I decided to look for a healthier means of drying our clothes. Various internet searches let me to deduce that wool dryer balls were probably the best option. I read that using wool dryer balls softens the clothes, reduces the drying time, can reduce static, reduce wrinkles, and since they can be reused (from what I’ve read for up to 1000 loads of laundry) they can be cheaper to use than dryer sheets. Rather than spending the $20+ to buy a set, I decided to make my own. I read that the more (balls) you use the more the drying time is reduced, and you should use at least 4. I decided on 8. Since we have been using them, I am satisfied that they soften the clothes, and I don’t have a problem with wrinkles. I am not sure if they actually shorten the drying time since this would take a scientific experiment to determine, and all of the kids are beyond the point of having to produce science fair projects. While it is possible that they reduce static cling, I still get static in fabrics such as fleece and nylon if they are left in the dryer until completely dry. I know that they are all natural, therefore I don’t worry about what chemicals may be leaching from them and into my clothes, and they are unscented so I don’t get headaches or sneezing fits because of them. Since I made them myself I am certain that they have saved me money. These balls in the dryer also provide me with a good laugh more times then not. From the first time my husband unsuspectingly open the dryer and upon seeing this let out a yell, to finding a ball stuffed in a shirt sleeve, pillow case, or pant leg, I always find it funny. 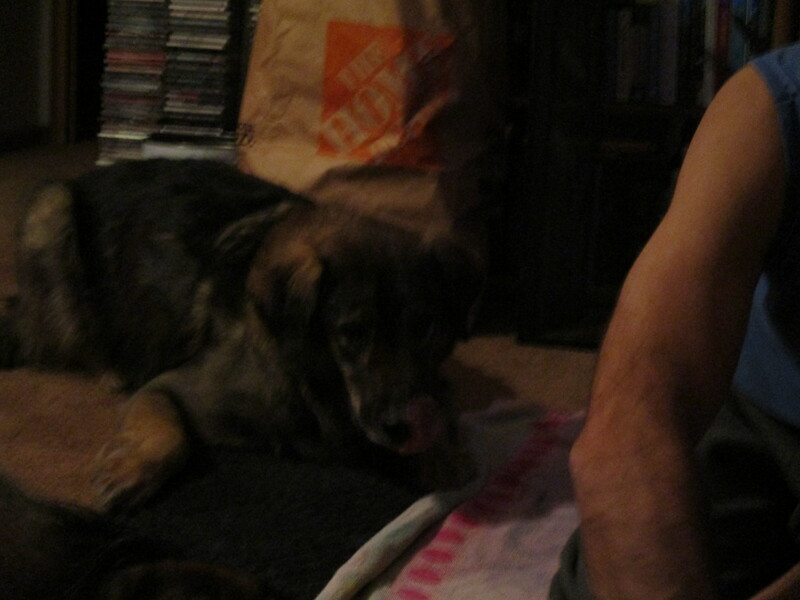 We now know that deciding to take the laundry out of the dryer means the search is on. I usually take the laundry out of the dryer one piece at a time, making sure to shake any of these elusive little critters back into the dryer, and then make sure I count eight before closing up the dryer. It doesn’t always work that way though. A few months ago we had a ball that had gone missing for about two weeks. Each time I did laundry I would be reminded that it was missing and would check places like under the chairs in the living room, in case it rolled there while I was folding the clothes, or in a pillow case that may have been washed recently. I knew it would eventually turn up, because no one in their right mind would break in just to steal one wool dryer ball, and if my husband got so tired of having to count balls he would have gotten rid of all of them, not just one. I figured it was mixed up in some of my daughters stuff, and when it suddenly popped out of one of her shirt sleeves she would get a good laugh and return it to its rightful place. Then one day Trooper decided to play with his toys and he tipped over the whole toy basket and the missing ball went rolling across the floor. Mystery solved, I chucked as I returned it to the dryer where is could resume active duty. Other times I get in a hurry and grab the whole load of clothes out of the dryer and end up with something like this. I laugh as I hear the balls hitting the floor and think oops, I forgot again. Notice that there are only 7 balls on the floor so I have to go shake and search the load so I can return #8 to the dryer. Some people may find this frustrating or a lot of work keeping track of these little buggers, but I can’t help but laugh when I hear my husband mumbling, and when I ask what is wrong, he says he’s missing a ball.